Mexican tile "Beautiful Flower" style goes perfectly into a kitchen decoration and will make a statement piece in any room. You can install it at a backsplash or at the counter to be your main theme or just a joyful and springtime accent. 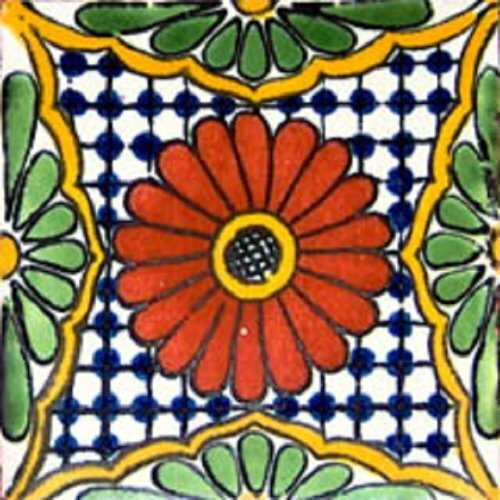 This quite Mexican rustic tile design consists of red and green flowers pattern over a white and blue background. Mexican Tile "Sky Blue Lizard"